The Faculty of Mathematics and Informatics (FMI) was founded on 24 November 1889 as a Physics and Mathematics Division to the first and most prestigious university in Bulgaria - St. Kliment Ohridski University of Sofia. Throughout its long story FMI has been a spiritual centre of higher education and research. to be a scientific centre of European importance and international recognition. dignified presence in the scientific and research area in accordance with the international standards for research. To achieve its main objectives, FMI gives students advanced training in the professional fields of Mathematics, Informatics and Computer science and Pedagogy of education in Mathematics, Informatics and Information Technologies by conducting regular and part-time education in the current subjects with professionally designed dynamic curricula and programs tailored to the needs of the students and the labour market. FMI conducts high-level education by preparing skilled staff for business and education - knowledgeable and capable, enterprising and creative. Lecturers work actively and purposefully for giving high-quality training, as evidenced by the success of the graduates of the faculty at international competitions and Olympiads in Mathematics and Informatics, especially the good realization as professionals both in Bulgaria and abroad. FMI graduates are sought after by companies, banks and government institutions. They won recruitment competitions for university lecturers in universities and for researchers in research institutes. Many of them continue their education at prestigious universities in Western Europe and North America. The aim of the training conducted at FMI is that the students graduating from the faculty gain solid knowledge and skills to achieve effective professional and social realization. FMI prepares specialists capable of reasoning effectively and constructively with motivation to constantly improve their knowledge and skills. Through active communication in an academic environment future professionals build their attitudes and skills for creative thinking, lifelong learning and working in dynamically changing conditions. Тeaching activities related to education promote students' innovative spirit and their desire for personal development. During their education at FMI they acquire skills for successful adaptation to a highly competitive environment. FMI maintains a level of training which ensures students' mobility within the European Union and international cooperation programs. FMI successfully combines training in professional fields with research and attracts students to joint execution of scientific and educational projects at a national and international level. High-quality training is the result of the high level of scientific and applied research conducted at FMI, which is oriented to a wide range of problems of modern science. FMI develops modern information infrastructure for teaching and research. 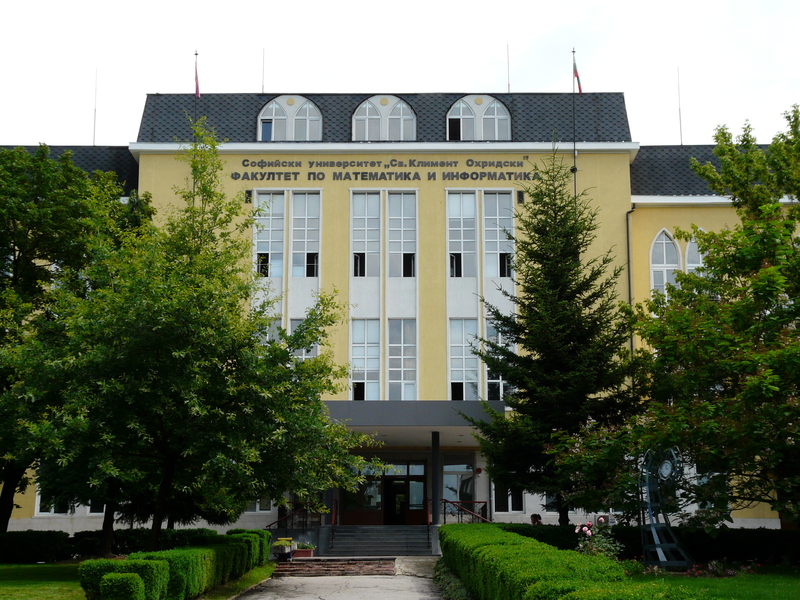 The library of the faculty has a fund of about 80,000 volumes which includes the oldest collection of mathematical literature on the Balkan Peninsula. The computer labs are equipped with modern equipment and software, and the building of the faculty has Wireless Internet.